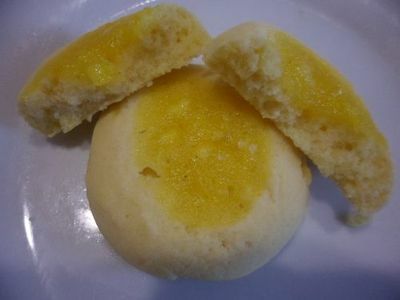 Lemon drops are a fun biscuit with a bright yellow zesty centre! Their light and fluffy biscuit base balances their tangy centre to create a delicious treat that would fantastic in any lunch box. Preheat the oven to 180 degrees C and lightly grease or line a baking tray. Use an electric mixer to cream the butter, vanilla essence, and caster sugar together until creamy. Sift together the plain flour and baking powder, then add this to the butter and sugar mix. Beat through until combined. Add the milk and use a spoon to stir it in until just combined, to form a smooth biscuit dough. 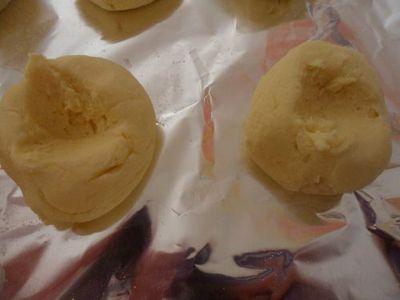 Roll the dough into balls of about 1-2 teaspoons worth of dough. Place these on a baking tray about 2 centimeters apart and lightly press each down with the heel of your hand to flatten slightly. 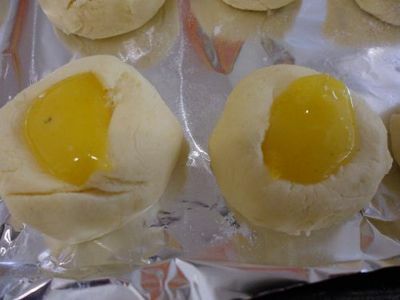 Use the end of a wooden spoon handle to create an indent in the centre of each biscuit dough ball in which to place the lemon filling. Combine the sugar and lemon zest in a pan (off the heat) with your fingers to transfer the colour and flavour from the lemon to sugar. Add the lemon juice, egg and butter. Stir, then cook over low-medium heat, constantly stirring. 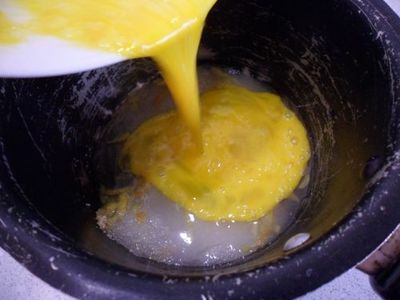 Continue to stir until the mixture thickens, but be careful not to let the lemon mix boil. Once thickened, remove from the heat and set aside to cool. Spoon small amount of the lemon curd filling into each of the biscuit indents. Bake for 13-15 minutes, or until the biscuits are light golden brown.